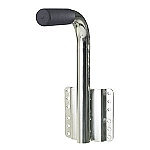 Universal stud-mount stop/turn/tail lights for under 80” applications. 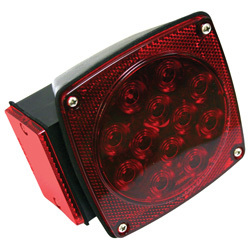 STL-9RB is 7-function: stop, turn, tail, rear reflex, side marker, license illuminator and side reflex. All-weather molded plastic housing and durable lens protect against corrosion. Features screw-on, replaceable lens. Mounts on 2” centers, grounds through mounting studs. Available as both individual unit and kit. Available in both bulk and colorful retail packaging.